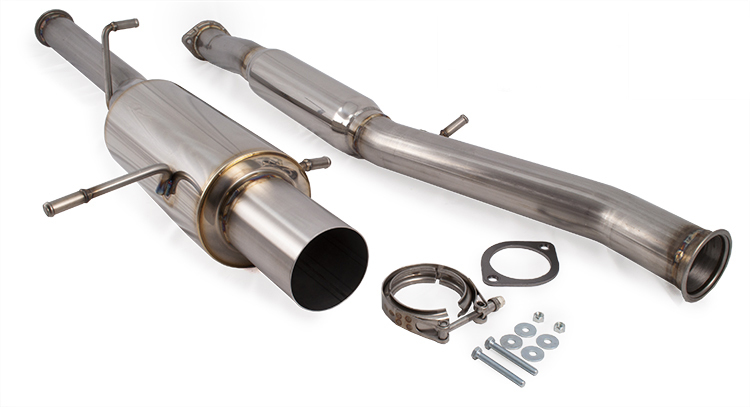 The 2002-2007 Subaru STI and WRX Exhaust System uses mandrel bent 3.0" stainless steel tubing for a smooth transition through the exhaust with no reductions or neck downs. This ETS exhaust system features a stainless steel vband connection for a leak free seal and gives you the ability to adjust the rear section for a perfect fit. All ETS exhaust systems use 304 SS tubing and are made in house and back with a life time warranty.